I wrote a blog post just the other day on the importance of a great backdrop for a garden or garden vignette. 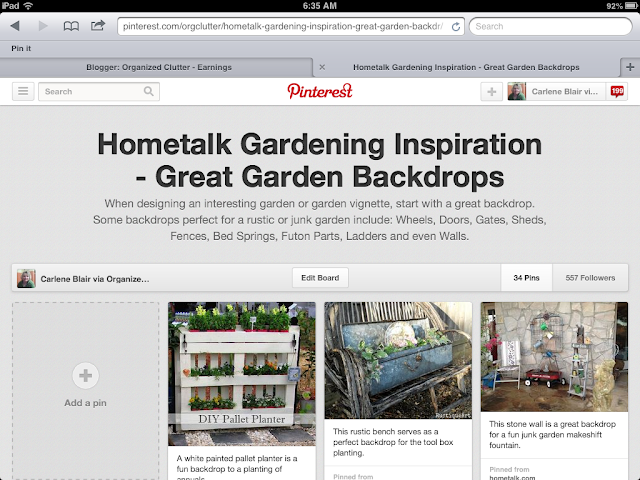 Over the last several days I have been busy pinning an inspiration board of terrific garden backdrops that include pins from other Hometalk gardeners that I admire. Click on any of the photos for a link to my new Pinterest board. 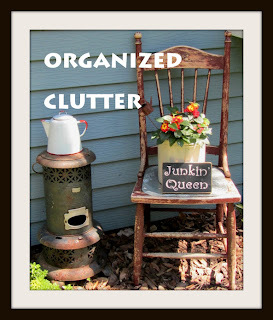 and, sheds, bed springs, headboards and potting benches/sinks all used as garden backdrops. 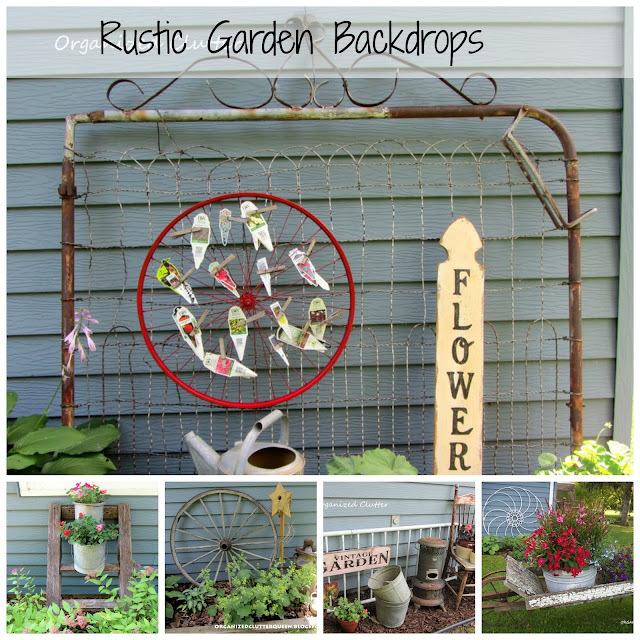 Are you inspired yet to use some great garden backdrops? I love the way you kept your plant tags and that you displayed them. Cute and genius. Love your idea of pining the plant tags like that, I may have to use this one. What great ideas! 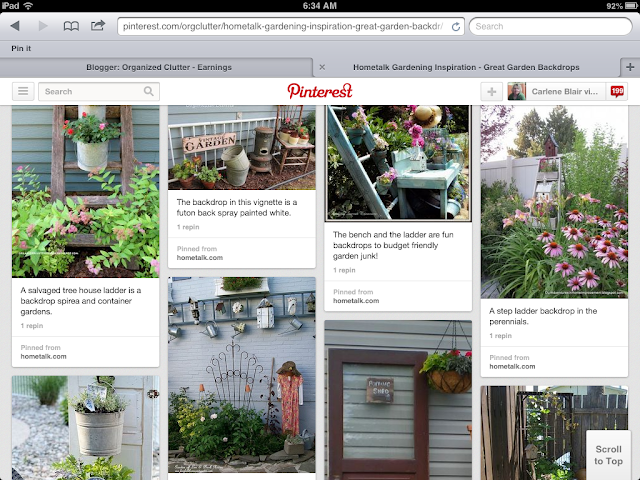 Im goin over to Pintrest now. 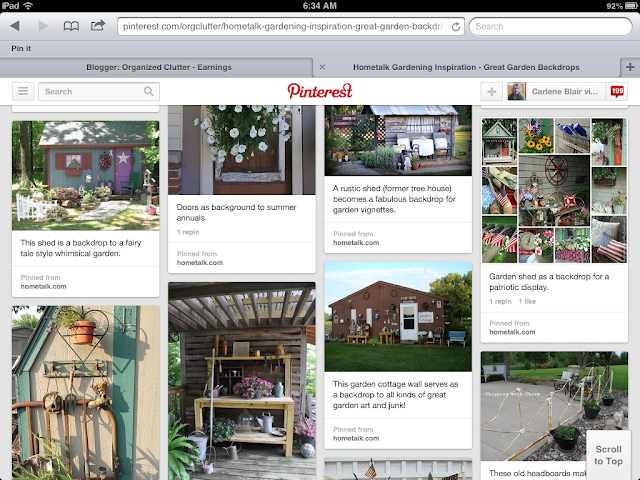 When we finally get to our gardening ( we're still working inside) Im going to want to use some of these ideas. Thank you for posting this! Wow..those are all great ideas...but you will always be my favorite garden girl! Lots of great ideas here, Carlene! I've been moving my old screen door here and there, but I've yet to find the perfect spot for it. Some talented blogger would love to get their creative hands on a huge cream stucco garage wall of mine that sits directly on the patio. Saying it needs help is an understatement. That's a fantastic idea to have them all together like that. I think my favorite backdrops are beds. Something about flower "beds" make me giggle.